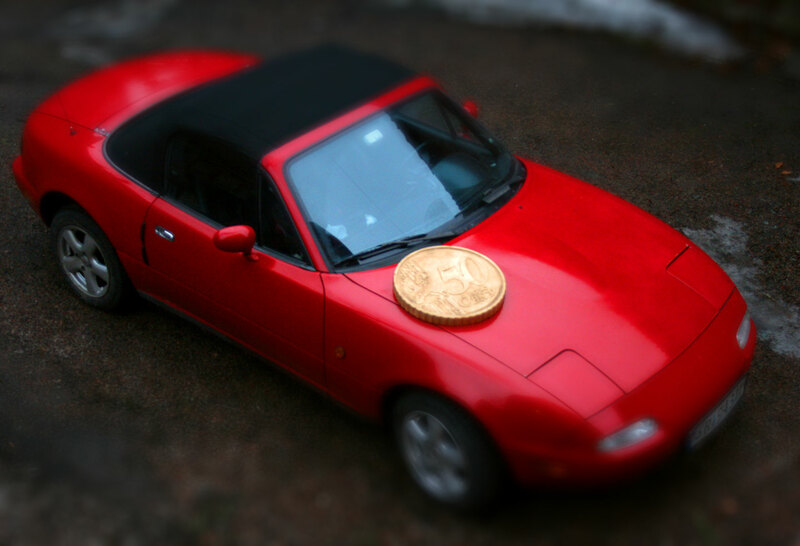 In 2011, the Norwegian design studio Skrekkøgl scuplted a massive 50-Euro-cent coin and shot it from above with a tilt-shift lens alongside numerous full-sized objects to make them seem to be cunning miniatures. You can download a shapefile for the coin and print it yourself at any size of your choosing. Instructions for finishing it are here.